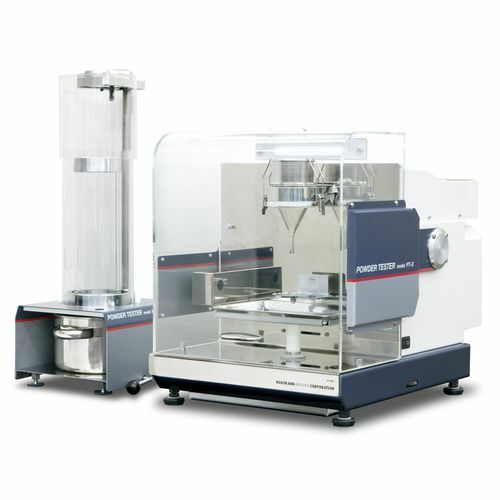 Complete powder characterisation in one instrument. The latest version of the industry standard laboratory unit used to determine powder characteristics such as flowability and floodability of dry powders when designing powder handling and processing systems. Measures: Angle of Repose, Compressibility, Angle of Spatula, Cohesion, Angle of Fall, Dispersibility and Angle of Difference, Aerated Bulk Density, Packed Bulk Density and Uniformity.